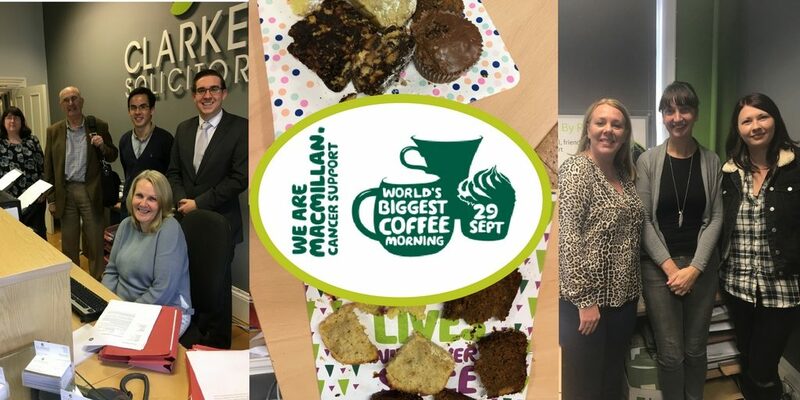 Clarkes Solicitors did their bit to take part in the World’s Biggest Coffee Morning to raise money for MacMillan Cancer Support. Staff in Newport, Telford, Wellington and Shrewsbury baked up a feast and dressed down in order to contribute to this very worthy cause… and if there are any mistakes in this months accounts it will be because James was up all night baking his wonderful sausage rolls! 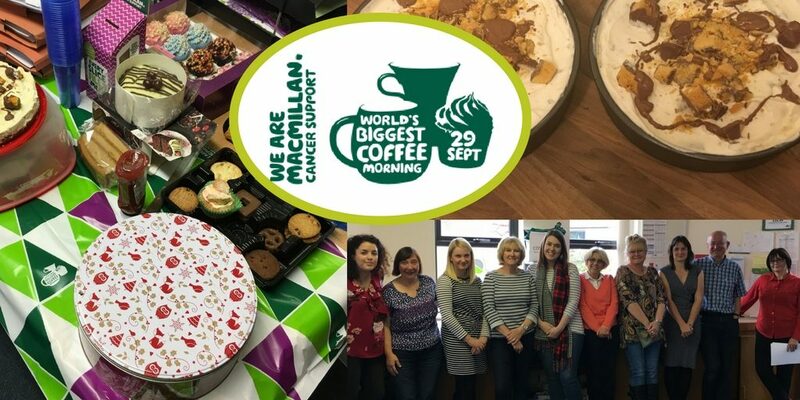 The staff at Clarkes have been taking part in the McMillan Coffee Morning for over 20 years! It was originally started by a previous work colleague, Jean Barnett, who had lost her husband to cancer in the year we started taking part. Since her retirement (four years ago) we have continued her legacy and are thinking of her today.